For an art so ancient, mehandi designs are constantly changing. 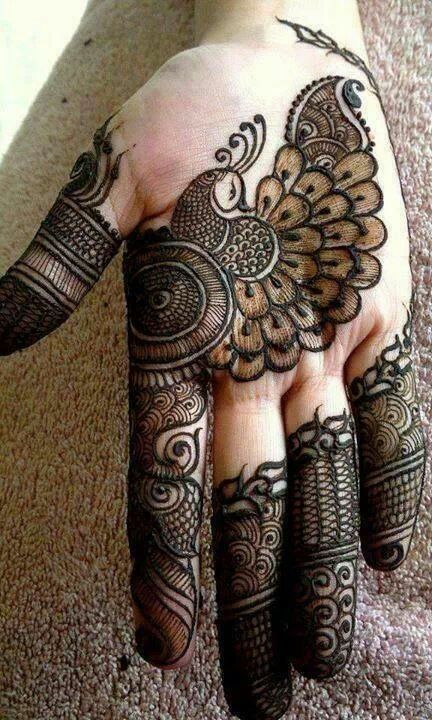 First Arabic mehndi reached far and wide, making mehandi a viable option for the smallest of occasions. 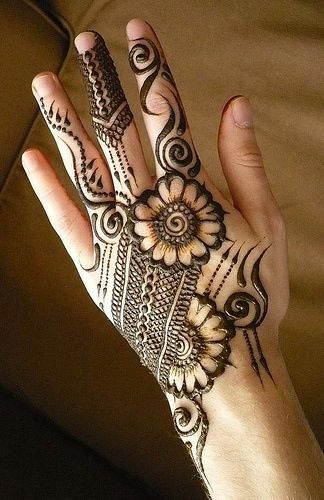 Mehandi lovers have a huge variety of designs to pick from. Like always, we have brought the latest mehandi designs for hands to you, so that you can experiment to your heart’s content. 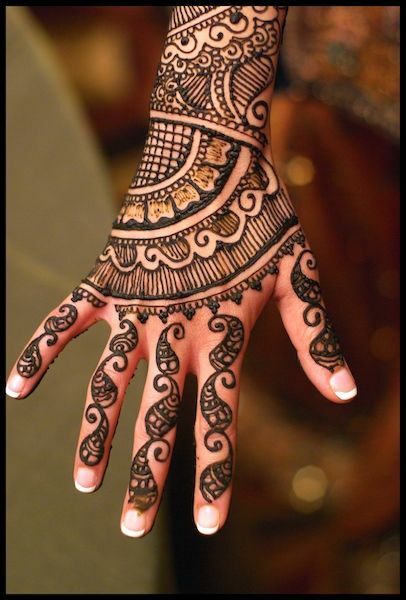 One of the strongest influences to be seen in mehandi designs this season, is the Moroccan flavor. 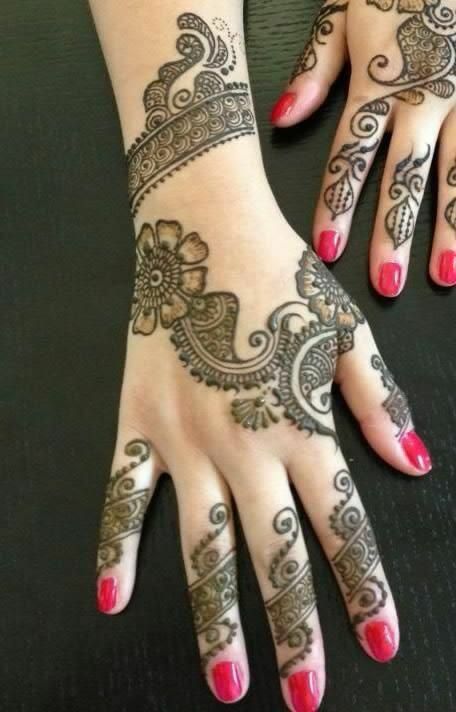 Gone are the days of traditional mehandi, now mehandi artists are leaning towards Moroccan designs even more. They are not traditionally Indian, neither are they flowery and ornate like Arabic mehandi designs. They are structured and feminine and largely minimalistic. This kind of design has emerged as an option for most of us looking for something different. The elements in Moroccan mehandi are easily recognizable – structural diamonds, and detailing that’s reminiscent of Islamic architecture. The tendency of Moroccan designs to focus on one finger, usually the middle finger, allows for a great opportunities to accessorize. Chunky metallic rings or slight ones adorned with jewels, are the perfect match for a design like this. Keeping the minimalism in mind, go for a French manicure when wearing this design, instead of the usual reds that we stick to when it comes to mehandi designs. The minimalistic trend is not just evident in Moroccan mehandi. It is a rage when it comes to everyday designs, too. Some designs as simple as tattoos look very glamorous when worn on an everyday basis. The designs are chic and contemporary and they work fabulously whether it’s a friend’s wedding or a festival celebration. The best part about these designs is that they can multi task and will unobtrusively blend with your everyday work clothes as well. My special favorites are those which adorn the fingers almost like they are rings. Contemporary designs have come back to mehandi art and what a comeback it is! The designs seems to be inspired from Western prints and are so geometrical, they are sure to surprise. They are experimental, bold and totally out there. Go for a full palm or half a palm, every design is elegant and matches with a bold and gregarious personality. Not only are these designs fun, but also practical. Many hybrid outfits have emerged- which put together Indian and Western clothing, so why not blend East and West when it comes to mehandi art? Pair this outfit with some funky Indo-western clothing for a perfect overall effect. 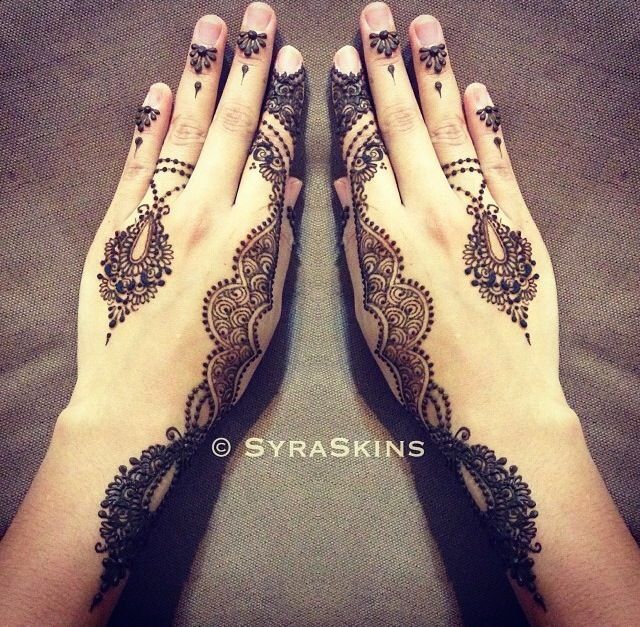 Casual mehandi designs are synonymous to Arabic mehandi. If you are going for a relative’s wedding, Arabic mehandi is a great option. But don’t stick to them same old creeper of flowers, it’s time to experiment with the designs. Try simplicity for one – keeps the elements few in number and allow for a center of attention. 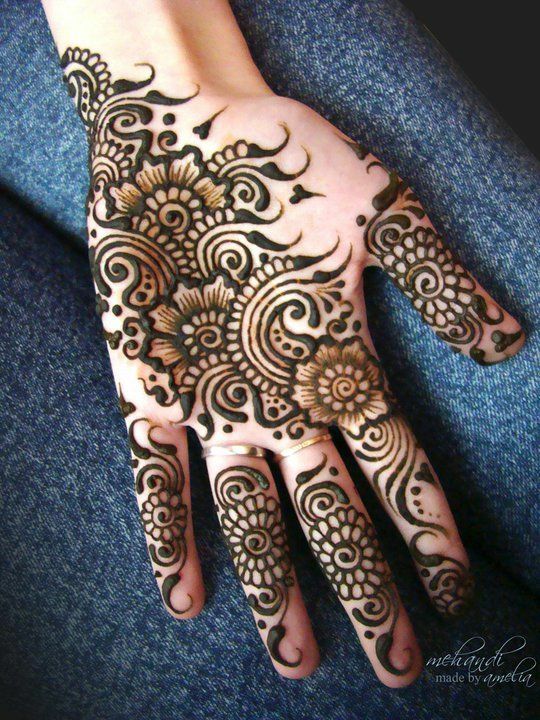 Another thing you could try with Arabic mehandi, is mix some Indian elements. The elegant flow of Arabic mehandi with a peacock for instance, creates a surprisingly beautiful design. Mehndi is a form of art – the trick is to keep having fun!